Trisha is a homeschooling mom to 4 crazy boys. She blogs at Intoxicated on Life and also manages a contributor site, Breastfeeding Place. Trisha began blogging as a hobby with her husband in April of 2012, it served as a creative outlet. Only at the beginning of 2013 did Trisha and her husband begin to consider monetization of the blog. Since beginning to get serious about blogging, they’ve seen great growth – their blog grew from just 9,000 page views in February to over 100,000 in the month of July. And in that time have grown an email list of over 12,000. The growth of Intoxicated on Life has been primarily through the creation of her own products, namely the series of downloadable Write Through the Bible workbooks that Trisha wrote and the corresponding family Bible studies her husband wrote. She is also in the process of writing two health related books and was a speaker for the online Healthy Child Summit. This growth has allowed Trisha to successfully monetize her blog through sales of her own products and partnerships with other companies. Trisha enjoys writing about her homeschool journey. But, she is particularly passionate about distilling complex health related research into understandable posts for her readers. Every city brings us to a new place. I love that many of them aren’t hotel conference rooms but are something more local and fun. 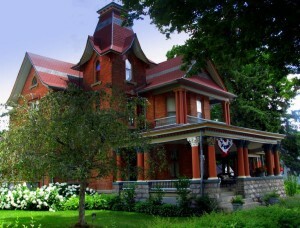 This conference will be held on the Baker College campus in Owosso, MI. For the question-ers. . .Owosso is better than Lansing because it is centrally located between Lansing, Flint, and Saginaw and just an hour and a half drive from Grand Rapids and Detroit. WooHoo! It’s awesome. If nothing else, come because the architecture in this town is crazy cool. 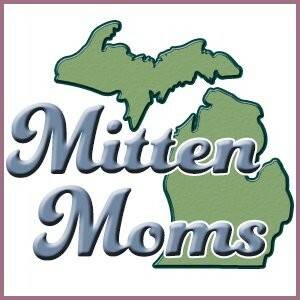 . .
and because the Mitten Moms will be rockin it!